Bringing The Long Ranger to the big screen was an epic odyssey for all involved, plagued by freak weather conditions, unforgiving terrain, and a never-ending stream of logistical nightmares. Nevertheless, the hardy crew, led by director Gore Verbinski and producer Jerry Bruckheimer - both veterans of the Pirates of the Caribbean movies - persevered to deliver a hugely ambitious and breathlessly entertaining blockbuster that defies all expectations. The Lone Ranger: Behind the Mask tells the gripping story of this fraught yet fulfilling journey and the people who made it happen, from stars Armie Hammer and Johnny Depp, to the costumes designers, makeup artists, production designers, and other key crew members. Taking in the dust-blown sets in Albuquerque, the epic vistas of Monument Valley, and the sound stages of Los Angeles, this is the complete story of a truly epic production augmented by stunning photography and concept art, along with candid snapshots from the crew. 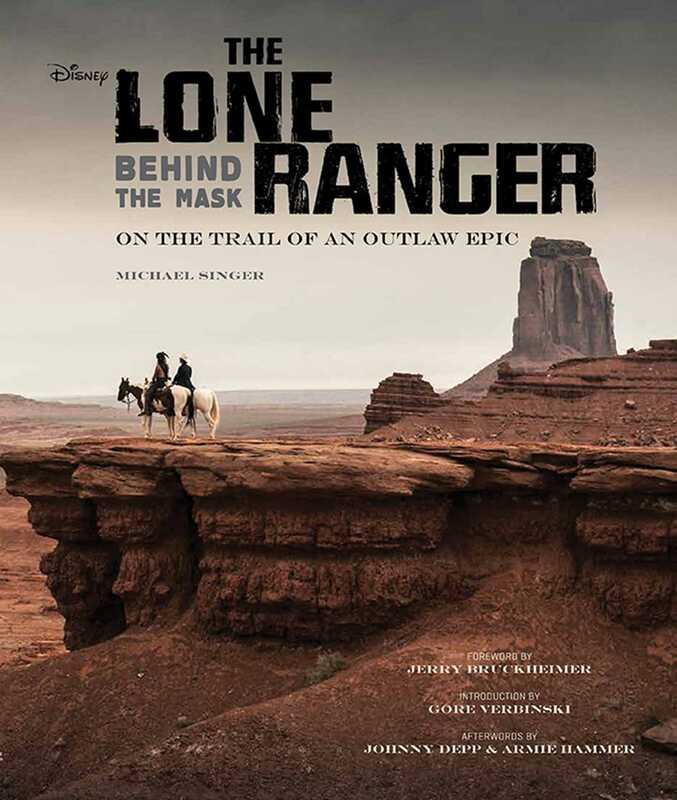 Also featuring afterwords by Johnny Depp and Armie Hammer, an introduction by Gore Verbinski, and a special photo foreword from Jerry Bruckheimer, The Lone Ranger: Behind the Mask is the ultimate companion to the most exciting film of 2013. Michael Singer has written a wealth of movie books, including Bring Me That Horizon: The Making of Pirates of the Caribbean, and titles based on Oliver Stone’s Heaven and Earth and Tim Burton’s Batman Returns. He is also a veteran unit publicist who has worked on scores of movies including Black Hawk Down, The Bourne Identity, Natural Born Killers, Jerry Maguire, and many more.